Do you love unicorns? 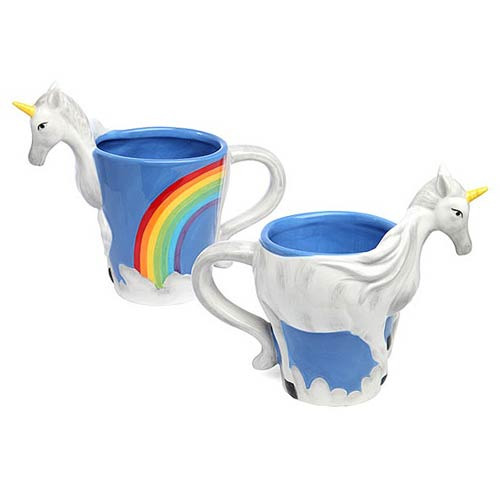 Add a little magic to your mornings with the Unicorn Figural Mug! This ceramic, 3-D mug features a unicorn, blue skies, and a rainbow - what more could you ask for? The mug holds up to 16 oz. of the beverage of your choice, and measures 8-inches from the tip of the horn to the end of the unicorn's tail. Hand wash only. Not dishwasher safe. Do not microwave.